St Aulaye is an attractive village not far from Riberac in the north of the Dordogne department. 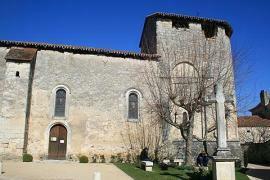 Saint Aulaye is a small bastide town and was built in 1288 by Pierre de Bremond. Park your car in the centre of the village and the Romanesque church of Saint Aulaye is a pleasant stroll out to the edge of town. 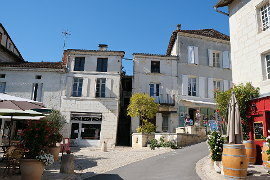 Narrow streets meander down towards the church which is 11th century and has good sculpted capitals. 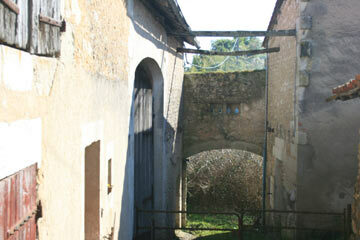 From the church you get very good views of the Renaissance chateau of Saint Aulaye. From here it looks a bit like one of the Loire valley chateaux! Most unexpected in this little village. 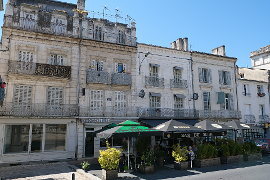 The chateau is now the town hall. 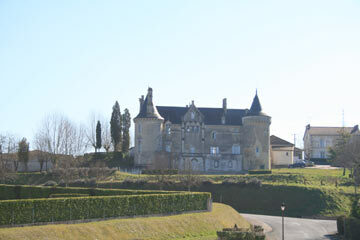 The chateau dates back to the thirteenth century. Some of the original ramparts still exist and, like the village, date back to the thirteenth century. 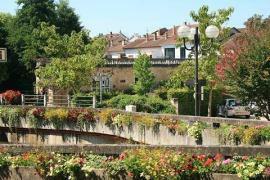 The village is also known for its rare 11th century bridge spanning the river Dronne. There is a river beach in the town - a very popular spot in the summer. 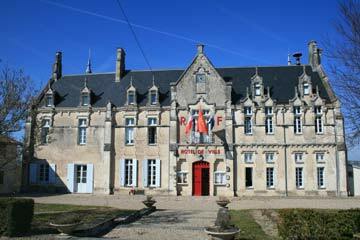 There is a museum of cognac and wine in the village - the Musee du Cognac et du Vin. Market day in Saint-Aulaye is a Saturday morning making this a particularly good time to go - see Saint-Aulaye at its most colourful and stock up on the deliciously tasty local fruit and vegetables at the same time. Saint-Aulaye has a pleasant river beach making it a popular spot in the summer. 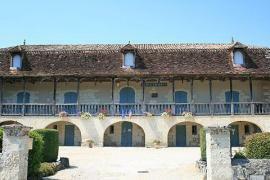 This is a fairly quiet and peaceful part of the Dordogne with pleasant rolling countryside and pretty villages to see. 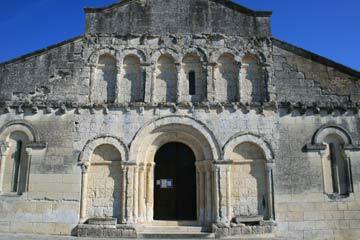 The main sight to see in the area is Aubeterre-sur-Dronne with its magnificent monolithic church. The church is carved out of the rock and is the tallest of its kind in the world. The village is also very pretty.